Sports Direct International, which is owned by Ashley, today called for Debenhams to hold a general meeting in a bid to remove all the current directors except Rachel Osborne. Ashley, one of Britain's most famous and unorthodox businessmen, launched a coup earlier this month to take charge of Debenhams, in which he owns a nearly 30% stake. As part of the plan, he offered to step down from his role as Sports Direct's boss. 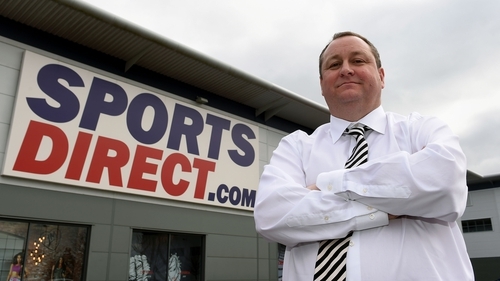 Ashley, who owns Newcastle United soccer club, made his fortune from building retailer Sports Direct and has recently snapped up stakes in other struggling chains hit by more people shopping online and weak consumer spending. Last week, Sports Direct offered Debenhams an interest-free loan in return for a further 5% stake, just as the department store chain was on the brink of securing funds to fend off Ashley's bid to take charge of the company. Debenhams said that it would consider the £150m unsecured loan offer.